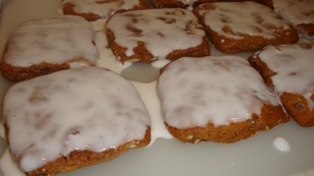 A Traditional German Recipe for Lebkuchen Christmas Cookies, made easy! 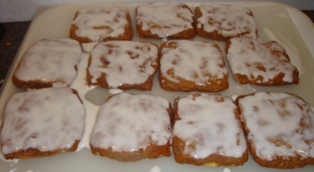 Leb kuchen is a traditional German cookie, much like a gingerbread, or a gingersnap, but with a tender and chewy texture! They're dense, sweet and chewy; commonly copied as gourmet cookies under other names. 1/2 cup plus 2 tablespoons finely chopped citron (that's about 1/2 pound of candied citron peel). Citron is a large citrus fruit that looks like a lemon. 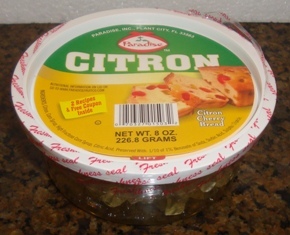 You can norm ally find candied citron peel in your supermarket during the holidays because it is a common ingredient in fruitcake. If you can't find any, candied lemon or orange peel is a good substitute. 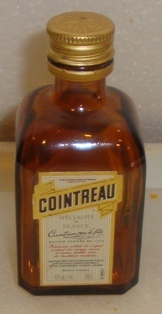 3 tablespoons brandy, Triple sec, Cointreau, or Grand Marnier. A small airline bottle is the perfect amount. 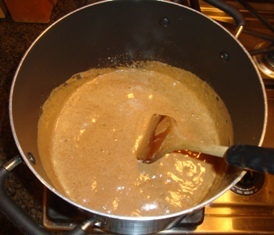 In a large saucepan, mix then honey and brown sugar over low to medium heat. 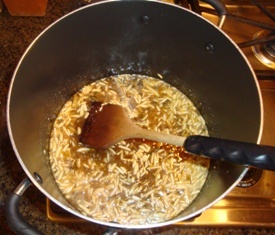 Add in the almonds, citron, orange and lemon zest, spices and then the brandy. 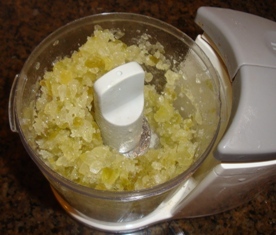 I finely dice the citron in a chopper or food processor first. Stir the baking soda into the mix well. 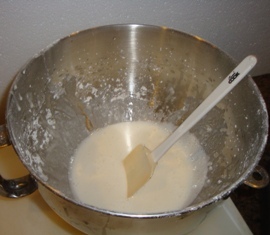 Next beat the eggs with a hand whisk or fork and then mix them into the pot. 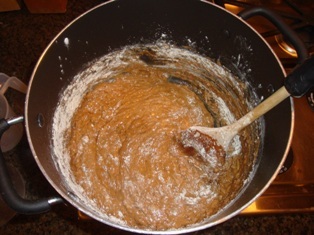 Gradually add in the flour. The dough will start to become very sticky. 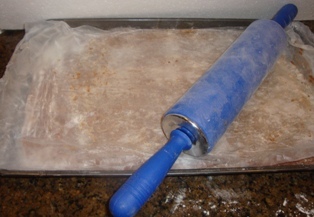 Scrape the dough onto a floured 3-foot-long board or plastic wrap. Generously flour (dust) the dough. Then, using floured hands, knead the dough several times to smooth it. 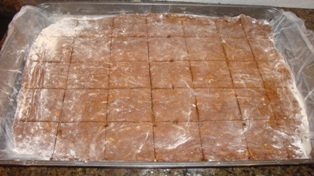 Flatten the dough into a 3/8-inch-thick square. Heat the oven to 350 degrees. Line a baking sheet with parchment or lightly greased aluminum foil. 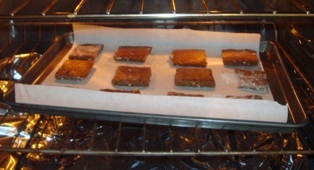 Transfer the squares to the baking sheet, spacing them about an inch apart. 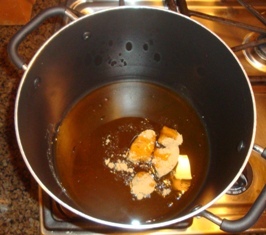 Mix the 1 cup of powdered sugars, 1 tablespoon of lemon juice and 1/4 teaspoon of vanilla extract. While they are still quite warm, ice the cookies. When they've cooled completely, dredge them once more. Makes about 18 to 24 cookies.